I was visiting a local knitting mill on another matter entirely, when I was presented with some gorgeous knit fabric. Cables! An Aran stitch pattern, but not a traditional fisherman knit of wool; the fabric was 100% cotton. It was bulky and beautiful. And as soon as I saw it, I knew I needed it. I asked how much and got my answer. What would you have done? I quickly added enough for a sweater "into the cart"... and then I added some more. This dreamy fabric, in panels actually, was an overrun from a previous job at the knitting mill for another knit designer. 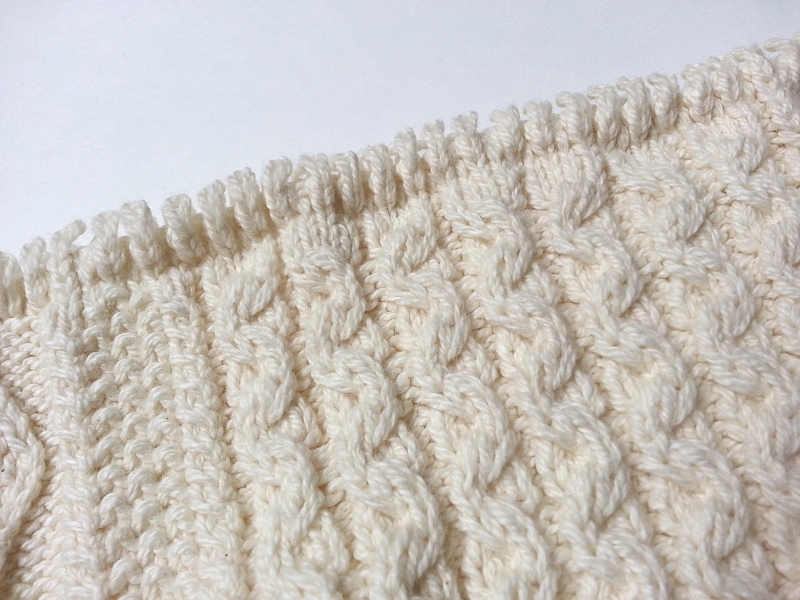 Often when fabrics for cut and sew sweaters are produced, the fabrics are knit into segmented parts such as these. This makes it easier for whoever does the pattern placement and cutting -- no unwieldy stretchy yardage of substantial length to wrestle into submission, just nice manageable panels of fabric. These particular knit panels are pairs of fronts and backs. (I'm guessing all the sleeves were shipped off with the original order, because none remained at the mill.) A creative and innovative sewist could easily turn an extra front/back pair into left/right sleeves. Or one could forgo sleeves completely and go another way, inspired by this sleeveless beauty by Derek Lam, a very nice way to go indeed. 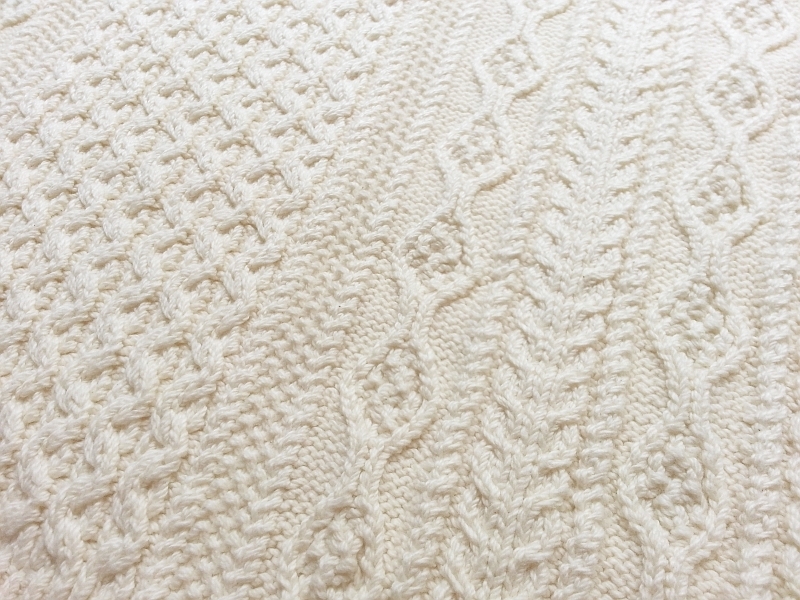 Here are the details: Each panel is approximately 24.5 inches (62 cm) wide and 25.5 inches long (65 cm), including 2.25 inches (5.7 cm) ribbing at the bottom of each panel. Each panel is connected to an adjacent identical panel. These comprise the front/back pair. The rib welt at the bottom of each panel is finished. The top of each panel has a few rows of loops that are not part of the design. Remember when I said I bought more than I needed? I hoped there would be creative folk who'd appreciate the beauty of these once leftover, now reclaimed, sweaters-to-be. I knew there'd be people who could imagine the possibilities. If you want in, I now have cable sweater panels available in the shop. See them at the next Open Studio event on June 13, 3-6PM, too, if you're in the area. Item is sold out. Event is over. On a related matter, I've received a few emails from sewers new to sweater knits. Some questions were on topics I’ve covered before, and I could refer to a previously written blog post. Other subjects I documented earlier but have since discovered or learned new ways of tackling the issue. There have also been questions on topics I’ve never gotten around to writing about at all. My next several blog posts will be devoted to answering some of these questions. I hope to demonstrate the answers using these fisherman knit panels. At the end, the new sweater sewers will hopefully have their questions answered and I should have a new sweater! In the meantime, I've made a Pinterest board of 26 cable sweaters (so far) for inspiration. 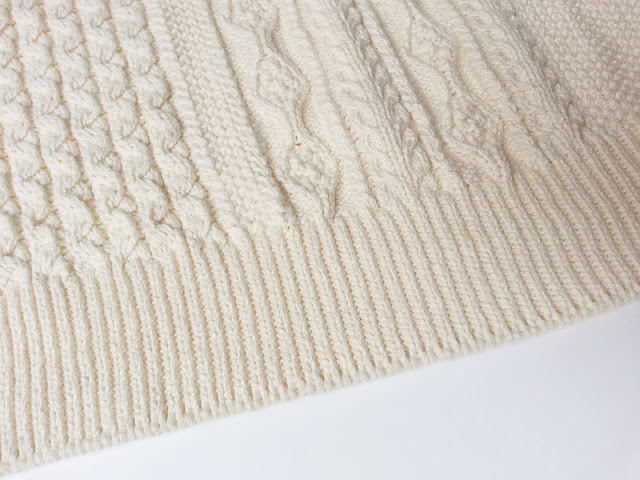 The sweaters range from the traditional to the surprising. I've definitely got cables on the mind now. Wow! What a beautiful design! 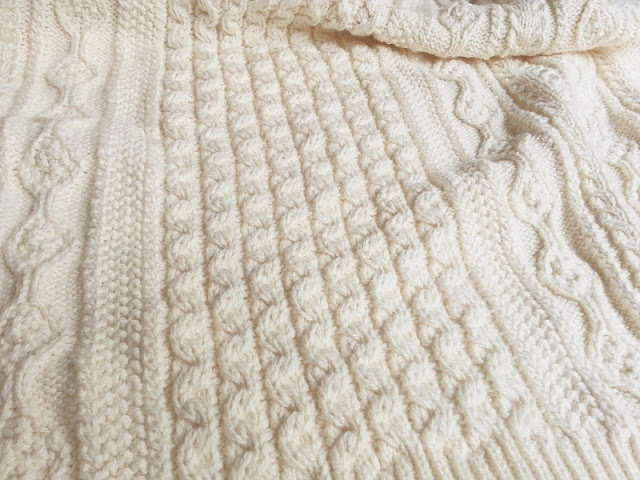 And it's so cool to learn more about the knitwear production process-- thanks for sharing! It's so interesting that it's done that way!